In a climate where performance is being sacrificed for comfort, reliability and practicality, cars like the FG Falcon series provide all of the above. Even in 2018, the FG stays relevant by providing a spacious sedan, generously equipped with gear and style, and powered by, arguably, one of the best six-cylinder engines ever built. The 2011 FG XR6 is a step up from the base Falcon XT. Mine, finished in Nitro Blue, was purchased for $9500, but was initially being sold by Ford for around $14,000. 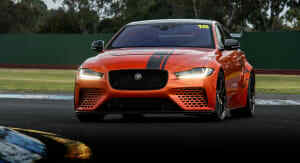 On face value, the car is stunning; the XR6 comes with the XR6 body kit, which adds skirts, bonnet and spoiler, all of which add the much needed ‘Sport’ factor to the Falcon. The car itself, as a result, has presence, looking both menacing and stylish at the same time. A second look yields the car’s first major issue; it looks, and when driven feels, like a tank. It’s a big car, and when the scenarios of parking and reversing are encountered, it leaves much to be desired (rear-view camera and sensors are extras; the camera should be standard). Opening the door provides a view of the vast cabin, filled with typical Ford plastics. XR6 seats are standard, with leather seats being an option at the time. The rest is the same as the base XT, with the ICC demanding your attention almost immediately; with numerous buttons controlling everything from volume to air conditioning, with a basic display screen centralised in the console. Most notably are the buttons for volume and cruise control on the steering wheel; they are there, easy to access but do not impede basic driving. It comfortably seats four adults, which I have had to do on numerous occasions. 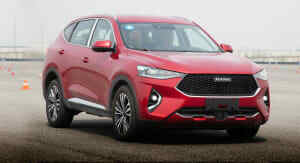 My car is fitted with the fantastic ZF six-speed automatic gearbox, which can also be placed in either sequential sport mode or Performance mode. All perform brilliantly, especially in basic auto; compared to the Commodore gearboxes, in which even the automatics are a tad clunky under heavy acceleration, the ZF is creamy and smooth. However, the flaws begin to show at higher speeds. 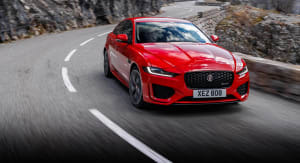 Sitting at 80km/h, the car will sit in sixth comfortably at just under 1500rpm; put the foot down and the car will attempt to maintain sixth, or, there is a brief period of nothing, followed by fifth and a sudden burst of acceleration. The engine itself leaves nothing to be desired; the 4.0-litre straight-six delivers 195kW at 6000rpm, but it’s the torque that boosts the car into pole position in front of its competitors. 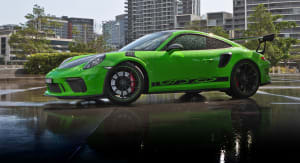 A healthy 391Nm arrives at just a sneeze over 3000rpm, assisting the car in reaching 100km/h in under seven seconds. You also feel the torque working, especially from stop, which instils a feeling of security, knowing the engine will generally respond when you need it to. But, with all this performance and grunt, you’d expect a reasonable sound, yet in this category, it fails; there’s not grunty sound, just a low hum, interrupted by an electric whine from the engine. Fuel economy from other tests yielded a combined stat of around 12L/100km. However, after 14 months, I have easily achieved 10.2L in the same distance, and I was not necessarily driving the car like a priest. Even after installing a high flow exhaust with extractors, and an XR8 intake system, the system used even less fuel. The car, according to Ford, produces about 10kW more than base if run on 98 octane; I recommend running it on 98, although the extra boosts in power is a bit of a stretch. 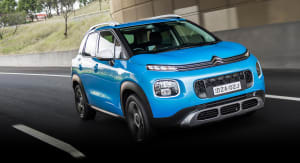 It responds better under heavy acceleration and can easily achieve over 600km on a tank, but in terms of power, there really isn’t much of a gain… not that it needs any more. The traction control can be easily forced into action simply by giving it some gas while turning through an intersection. 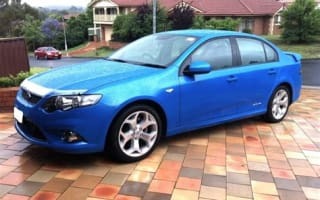 So, if you’re looking for a capable, family sedan, the FG Falcon should be heavily considered. Since the FG motor is the same as the one in the last-gen FG-X, the only real difference between this and an FG-X XR6 is the physical looks and tech levels. The FG is let down by a lack of entertainment features, as it only has an AUX point to utilise music through. However, the FG to me, looks a lot better than the FG-X; the X has a more duck billed look. Also price; while the FG XR6 isn’t as well equipped, they cost between $8000-$12000, and the mileage isn’t necessarily an issue, as the Barracuda engines have been proven to run for over 200,000km with little to no issue and with proper maintenance. FG-X’s will cost over $30k, and all you’re really getting is more Bluetooth capabilities and a larger, colour touchscreen. 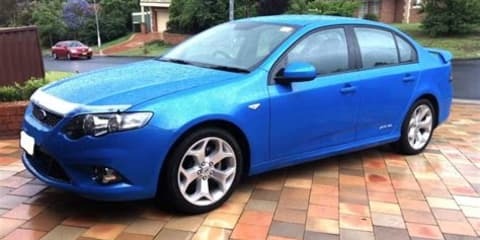 So whether you’re a family of four or even looking at a bigger car with a bit of grunt, the FG XR6 should be first… and last, on your list of cars.